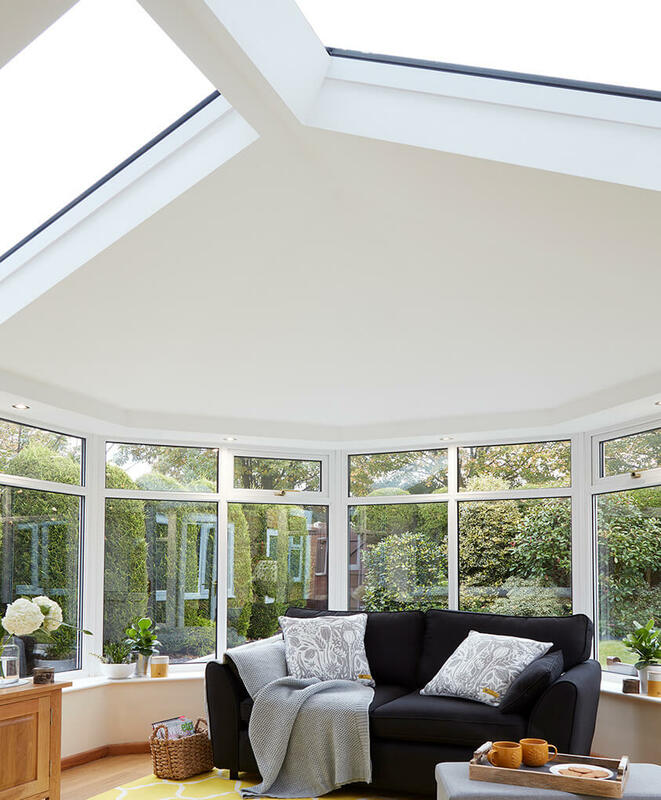 If your existing conservatory is not as warm as it should be in the winter or too hot in the summer, there's a good chance the roof is responsible. In such cases, a replacement roof from Premier Windows can solve the issue. However, our conservatory roofing options can also meet a variety of other requirements. Plus, they're suitable to replace existing roofs or they can be used on newly built conservatories. Select from either a tiled roof, glass roof, or a Livin’ Roof, which combines the qualities of the aforementioned roofs together. If you’re looking to maximise the energy efficiency in your conservatory, we recommended opting for one of our tiled roofs. This ultra-durable roofing solution can last for up to 50 years without maintenance, turning a conservatory into a beautifully warm space that is suitable for year-round use in the process. We install Supalite and Ultraroof tiled roofs. 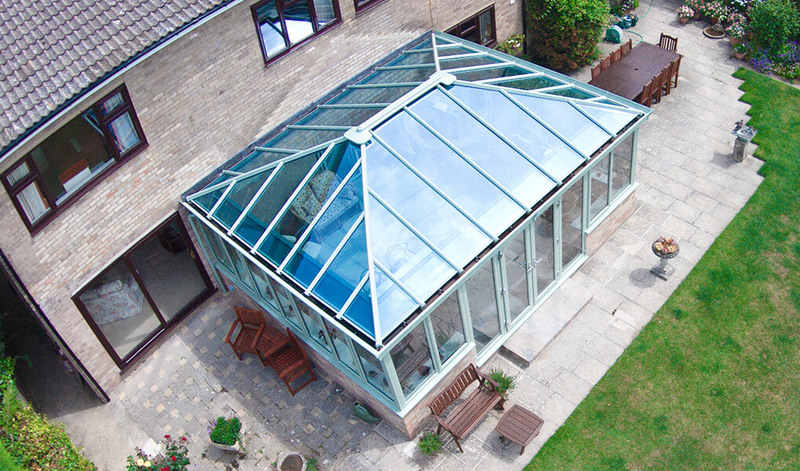 For uninhibited sky views and beautifully bright conservatories, one of our glass roofs is the perfect solution. The low-emissivity, anti-glare glass in use ensures your conservatory will be resistant to overheating and you needn’t worry about your view being spoiled during those sunnier days. 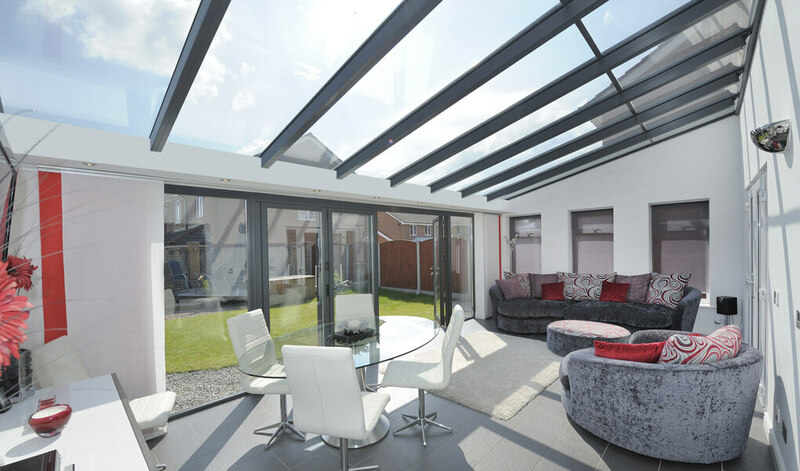 The Livin’ Roof combines highly insulated external panels and insulation with full-length panels of glazing, ensuring for a thermally efficient conservatory space that can still receive lashings of natural light. The use of glass panels also allows you to highlight certain parts of the conservatory rather than illuminating the whole area. 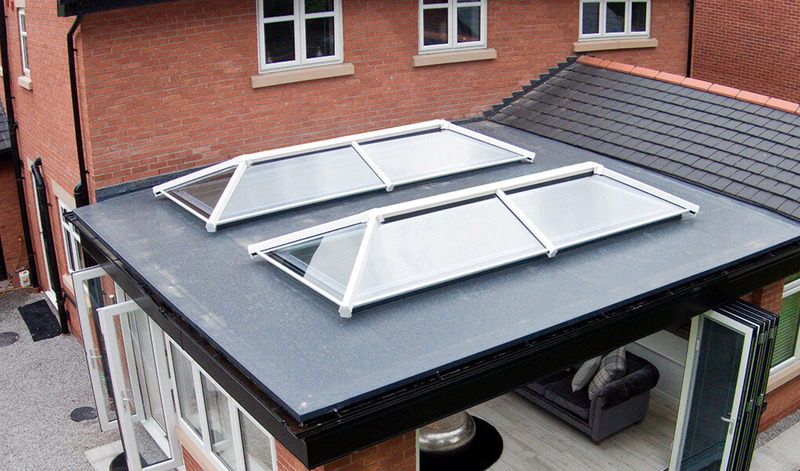 For any flat roof extension or orangeries, we also install lantern roofs. These feature a stylish, contemporary design and allow plenty of light to pass through to the inside. In addition, they’re fitted with insulated aluminium undercladding, for an impressive thermal performance. If opting for one of our Supalite Plus tiled roofs, U-values of just 0.13 W/m2k can be achieved. This is the best thermal performance of any conservatory roofing system on the market. Our replacement roofs are suitable for virtually any conservatory, including Victorian, P-shaped and Lean-to conservatories. This is also true of our tiled roofs, as they utilise lightweight tiling. Our fitting team is full of highly experienced professionals, ensuring our conservatory roofs are installed quickly and efficiently. This ensures for minimum disruption to your everyday life. No matter what roof you opt for, it comes with a 10-year insurance backed guarantee from Premier Windows. Tiled roofs from Premier Windows are available in a selection of common tiling colours, ensuring it's easy to match the roof to the one that is fitted upon your home. Our glass roofs come in a variety of different tints and glass types, to suit individual requirements. Choose from low-emissivity glass and improve insulation levels or self-cleaning glass, if you'd like to reduce maintenance times. You can also reduce the risk of your conservatory overheating with solar control glass. If opting for a tiled or a Livin Roof, the interior ceiling will be plastered, making the conservatory better resemble other rooms in the house. We can fit this ceiling with integrated spotlights, speakers, or both, if desired.